Rumor on the new album confirmed by Billboard. Tracy Chapman is currently going back into the studio to record her new album to release on October 15, 2002. Tracy Chapman sold 350 000 units of Collection, her best-of album, in France. Irish Radio Interview The D-Files at 8pm on 2FM. Second release of Baby Can I Hold You in the U.K. on October 1. Release of Collection, the Best Of album in Europe and Australia. Tracy sings Gotta Serve Somebody at a benefit birthday tribute to Bob Dylan in New York on May 19, 2001. 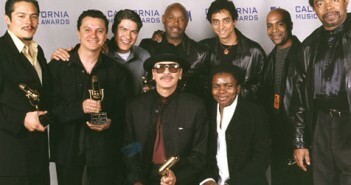 Tracy is Carlos Santana presenter at the California Music Awards 2001 in San Francisco.